So guess what? 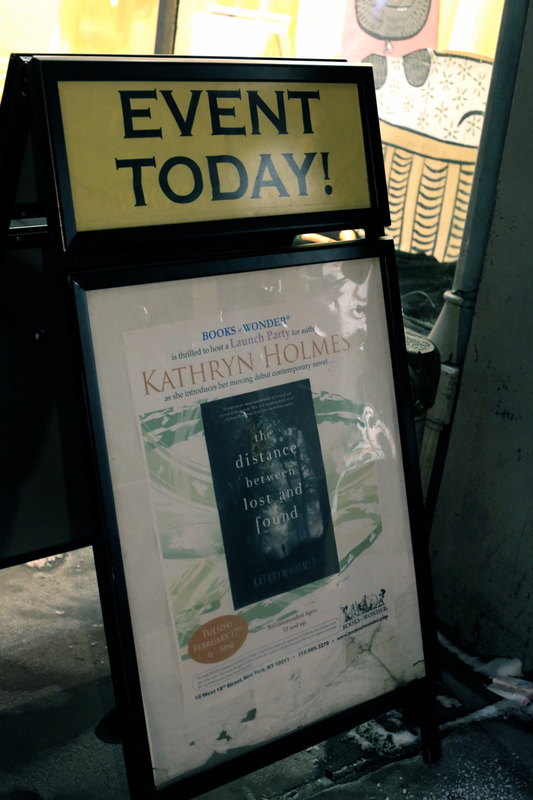 Tonight I get to meet a group of my fellow 2015 debut authors face-to-face for the first time! This weekend is the NY Society of Children's Book Writers and Illustrators (SCBWI) conference, and while I'm not attending the conference itself, many writers I've gotten to know online over the past few months will be there. 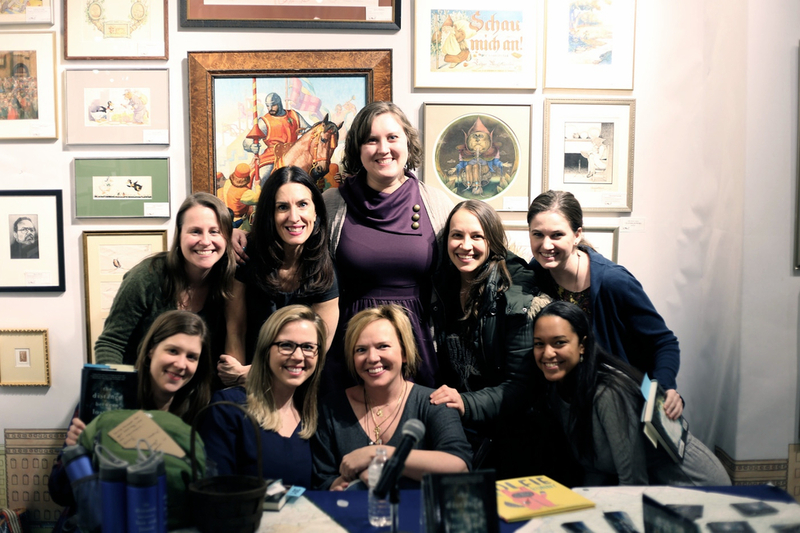 And, because I'm lucky enough to live in NYC, it's the perfect excuse to meet authors who live elsewhere but who are sharing this crazy debut publishing experience with me! There seem to be about 15 of us meeting up tonight, so it should be a good time. Lots of talking about books, books, books, I'm sure—the perfect evening for a writer. I'll try to grab some group photos, so that when everyone's books come out in a year, I can point at the pictures and say, see, I know him/her! 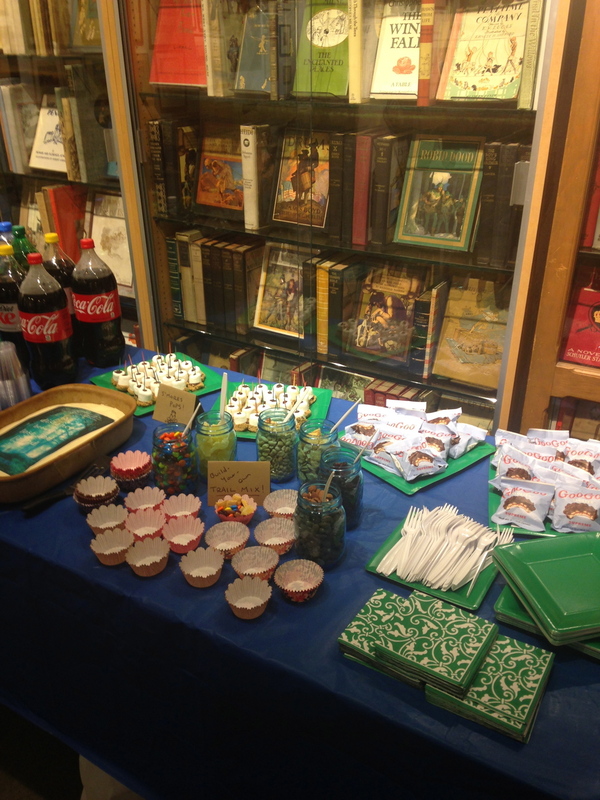 But this meetup isn't the only fun writing-related event that I've gotten to attend recently. 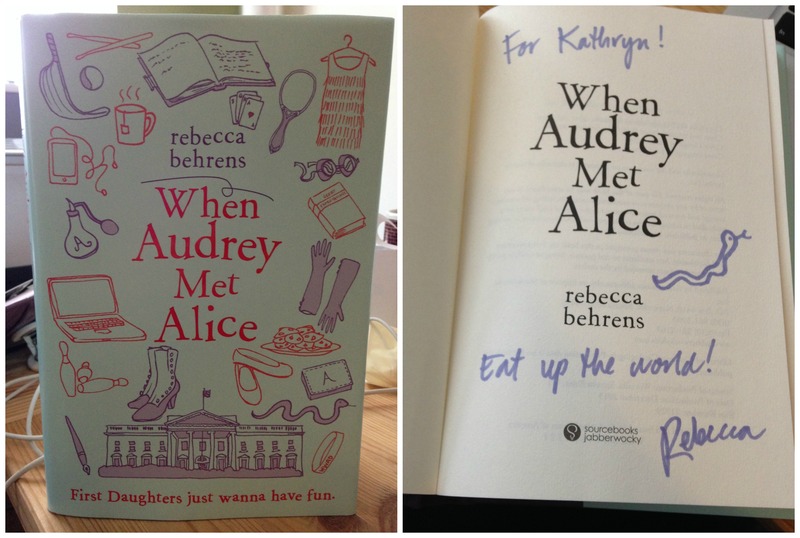 Last night, my Write Night friend Rebecca Behrens held a launch party for her debut, WHEN AUDREY MET ALICE, at Books of Wonder in Manhattan. 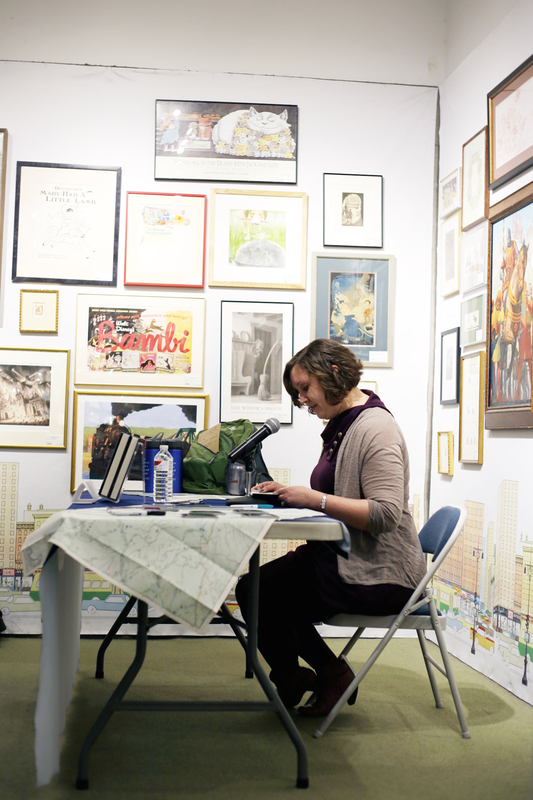 (I wrote about Rebecca's book HERE.) 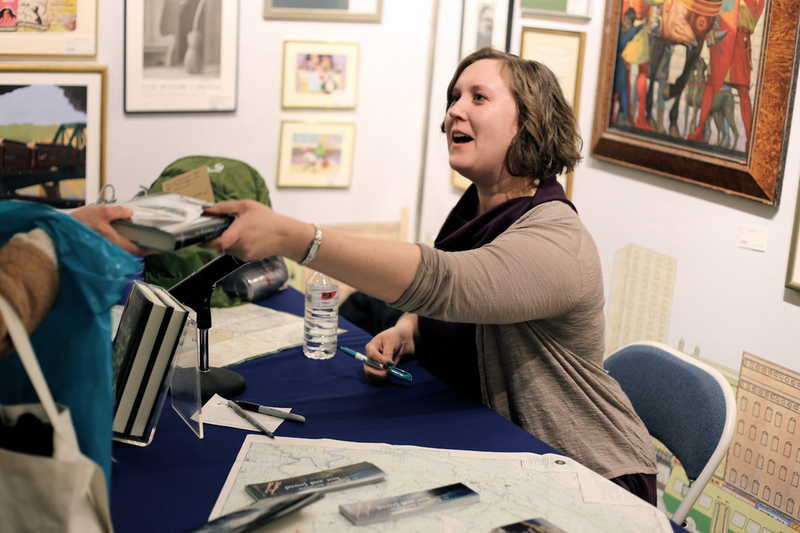 It was so fun to hear Rebecca read from the book, to get her to sign my shiny new beautiful hardback copy, and to envision doing something similar for my own book in a year or so. 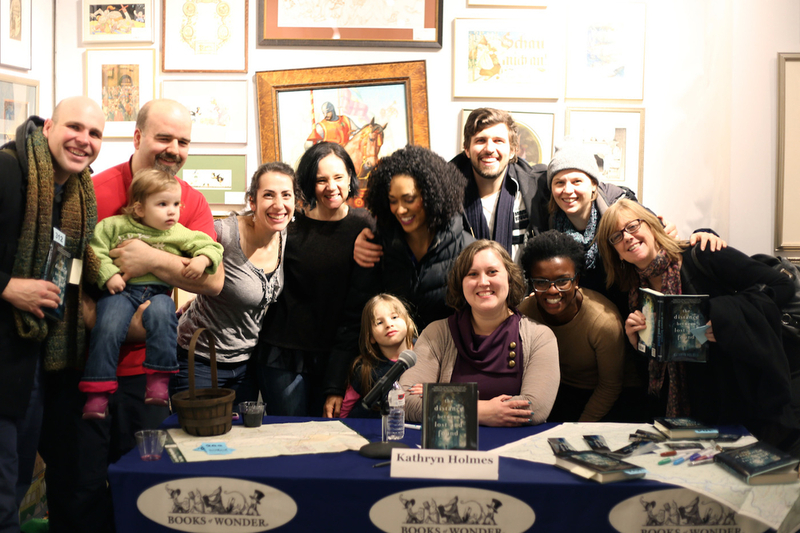 It was also awesome to see my Write Night crew out of our usual Panera/Cosi context, and to catch up with a few other authors I know, and to meet ones I hadn't met yet. An all-around great evening! So what's next for me and my book and such? I've just about finished my copyedits on THE DISTANCE BETWEEN LOST AND FOUND, which means the text will go into design pretty soon! Meanwhile, my agent has the opening chapters of my potential next project, and I'm waiting with bated breath for her response. What the past few weeks of wonderful writer community (I'm including last week's reading under this umbrella) have reminded me is that while writing can feel pretty solitary sometimes, when you do get out into the world, there is a great group of people out there who are in the boat with you. Waiting for feedback, pushing through a first draft, battling tough revisions, anxiously waiting for the publisher's side of the process (cover designs, release dates, etc. )—we've all been there, or will be there, or are currently living in it, and the fact that we aren't alone makes the good parts better and the frustrating parts not quite as bad. That's a remarkable thing. Well, I've actually been on Facebook for a while now. 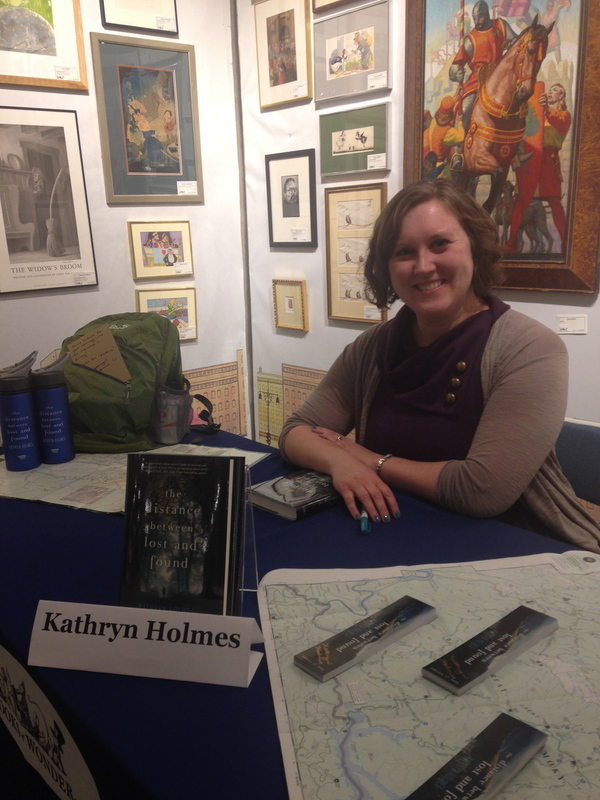 But as of today, Kathryn Holmes the Author is on Facebook. And I wanted to let you, my awesome blog followers, know about it! Become a fan of my Author Page and stay up-to-date on all of the awesome book-related things that will be happening in the year ahead. I'm so excited to share more details about this publishing journey with all of you. "Like" my Facebook page HERE! With every item I check off of my pre-publishing to-do list, this whole book thing feels more and more real. (I also have a new headshot—check it out on my About page!) Amping up my social media presence is one of those tasks I'm excited about, while also being a little nervous. I've seen authors do social media brilliantly, and I've had authors drive me nuts with constant self-promotion. Obviously, I'll be trying to follow the example of the former category. Do you follow authors whose online presence you enjoy and admire? Let me know, so I can investigate how they do it! And now, back to my most important job as a writer: writing. I'm charging through my first draft of my new work-in-progress, and I don't want to slow down! I'm hoping to get a lot more done before I get my copyedits back on THE DISTANCE BETWEEN LOST AND FOUND in a few weeks. More on both books—the new project and the coming-out-in-a-year one—soon. That's so awesome that you sold your book! When do I get to read it? What?! 2015?! How could it possibly take that long? I've been hearing some version of the above from a lot of my friends and family lately, so I thought I might fill you in en masse on what's going to happen over the next year! But first, let me say up front: I can't say thank you enough for your enthusiasm and encouragement about my book deal. Your support means the world! Right now, I am in the middle of my second round of revisions with my editor. When I'm done implementing her notes, the book will be very close to its final version! We'll most likely do one more round of line edits to make sure we're happy with every word in the book (time to nitpick! ), and then, if all goes well, my book will be "accepted" by the publisher. That means my main role in writing and editing it will be done! At the start of 2014, my "finished" manuscript will go to copyeditors, who will read through it and make lots of edits that I will then have to read through and accept. The copyeditors will catch typos, make sure names and other facts are consistent throughout the book, standardize style elements (like how TV shows and movies are written, for instance), and do loads more. Copyeditors are very important people—they help to make the text polished and professional! Meanwhile, over in the art department, someone will be designing possible covers for my book. Before you ask, I will not get to dictate what my cover will look like. There are people far more qualified to do that job, who are already employed by my publisher. That said, when they've tinkered and redesigned and finally gotten down to a top choice or a few choices, they'll send it/them to me to check out. 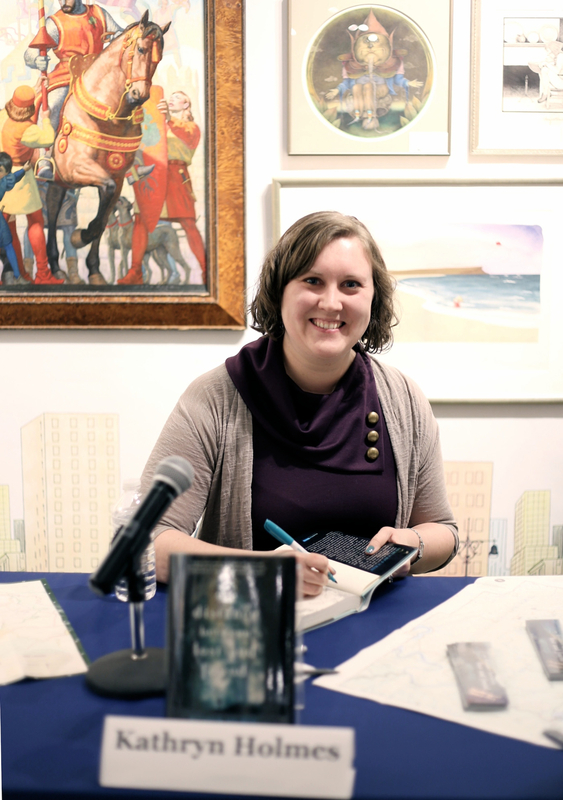 Cover designs are a collaboration between the editors, the art department, and the sales and marketing teams, because everyone wants the book to sell its best. When my book's cover is finalized, I'll be given the go-ahead to share it with you. And believe me—I will be making a big deal of it! When I've sent back the copyedited manuscript, it will go into layout—which basically means it will start to look like a proper book. Then I'll get sent the manuscript again to read over and make sure nothing got, say, cut out accidentally while the text was being flowed in. I'll probably do several passes in the page proof phase, over the course of a few weeks or months. The book will also be made into galleys, as well as advance reader copies (ARCs). These advance copies are often sent to reviewers, booksellers, and other people in the industry who need to see books before their official release date. Once my book has a release season (and, eventually, an actual date), I'll get slotted into the publisher's catalog, so I can be promoted to booksellers. I'll probably also get assigned a publicist who will help me come up with the best ways to promote the book. A lot of people have already asked about my book tour plans. Hopefully, I'll get to do at least a small tour! But that isn't the only option these days. For instance, a lot of authors do blog tours, or visit bookstores, libraries, and classrooms via Skype instead of in person. Trust me, when we're a few months away from my book's release, you'll start hearing me talk a lot more about this part of the process. What's my job while all of this is going on behind the scenes? I'll be hard at work on my next manuscript. After all, I'm doing all of this because I love to write, and because I want this to be my career. Having a single finished book on the shelves will be amazing and mind-blowing, but having two books there, or three, or more… that's the dream. So I'll be hard at work with my agent and editor planning out what's next while Book One is in production. And you'll probably hear about that, too. Whew! So that's the nutshell version of what I'll be dealing with in 2014, and why you won't see a finished book until 2015. I hope it was interesting to get a glimpse into the inner workings of the publishing machine. I know I can't wait to reach each point in the process! 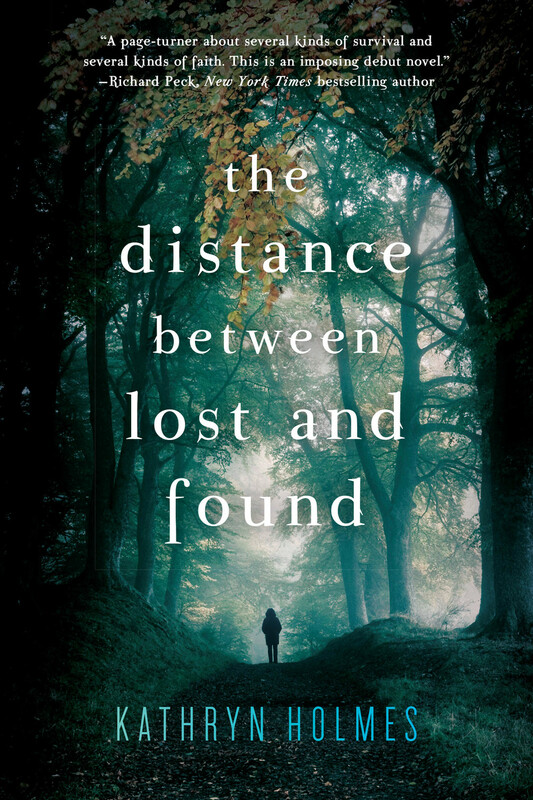 It's that time again… I'm back to revising THE DISTANCE BETWEEN LOST AND FOUND! I received the second round of notes from my editor on Monday, and so I'm getting ready to dive back in. I'm pretty excited! Especially because my editor really liked a lot of the changes I made in the first revision, which means I won't have nearly as much to change this time around. In fact, most of what I'm down to is the nitpicky stuff—those tiny tweaks that can make such a big difference in the overall story. In general, while I was reading over the editorial letter and thinking about how to tackle her requests, the coolest thing was realizing how close the book is to its final version—the version that will be published. PUBLISHED! There's a part of me that still can't believe that's happening. So picture me cracking my knuckles and doing some shoulder rolls in front of my computer, loosening up. I have coffee…lots of coffee. Maybe some snacks. Definitely chocolate. I have Pandora set to the right station for this book. 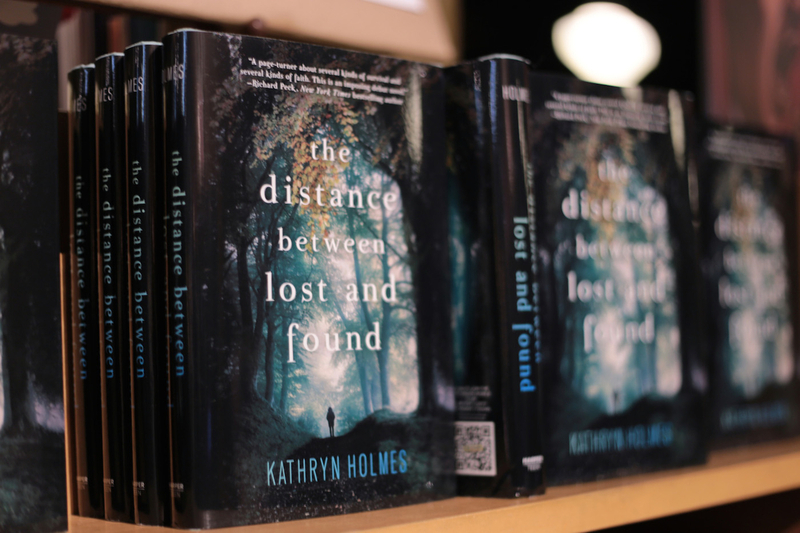 (Want to hear some of what I listened to while writing THE DISTANCE BETWEEN LOST AND FOUND? Make a Pandora station using the band The Civil Wars.) My desk is a mess, but my computer desktop is organized and ready for action. Oh, and I know blogging has been sporadic this fall, but I promise not to disappear for the next month. There's too much awesome stuff going on and too many books to talk about for me to let the blog languish. So keep an eye out for updates! Fun news today! I'm excited to introduce a fantastic new group and website for 2015 debut Young Adult and Middle Grade authors, the Fearless Fifteeners! I'm lucky to get to be on the admin team that has been putting together this group, and today we are officially launching and accepting new members. 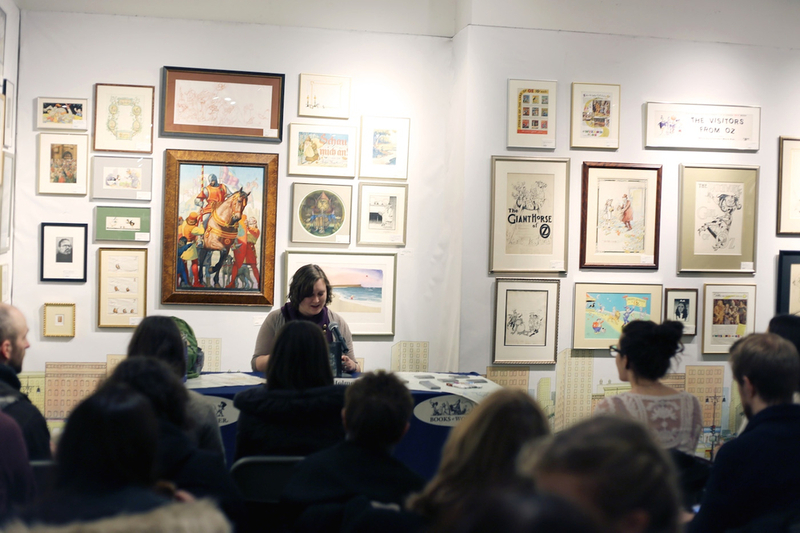 Do you have a book deal for a YA or MG book that is scheduled to come out in 2015? Are you an avid reader who wants to get the scoop on awesome upcoming books months (or more than a year!) before they're scheduled to release? You definitely need to go to FearlessFifteeners.wordpress.com. So here's to 2015, and to the wonderful books it will bring with it! What do you think? I pretty much love it. That's not to say that I didn't have a mourning period for THE CREATION OF HALLELUJAH CALHOUN, but the more I think about this new title, the more right I think it is. It reflects the physical journey my characters go on as much as their emotional/spiritual journeys. It sounds nice. Kind of rolls off the tongue. And it will—I hope—draw readers in. I don't generally find titles easy (aside from coming up with punny headlines for freelance dance articles!). This latest titling process was no exception. (As an aside, the only fiction title I ever came up with easily was THE CREATION OF HALLELUJAH CALHOUN.) That said, with brainstorming help from my agent, my editor, my husband, and a few trusted friends/readers, we found the right answer remarkably quickly. I'm hoping I can learn from our marathon brainstorming session the next time I have to title something! Yup. 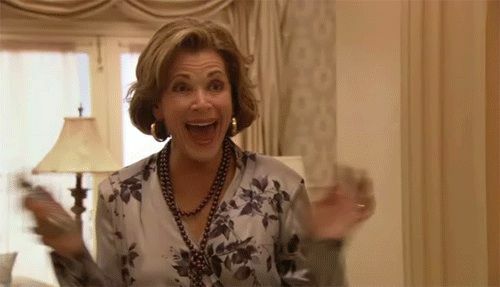 I turned in my book draft on Tuesday, which felt really, really good. I can't wait to get back more notes on the changes I made and make the book even better—okay, actually, I can wait. I'm definitely looking forward to a few weeks with a little less on my mind! But at the same time, I'm eager to hear my editor's thoughts. In a few weeks. When I've recovered. In the meantime, I had a birthday on Tuesday, I have rehearsals for my dance performance that's coming up at the end of this month, I took a quick freelance assignment from Dance Spirit, I'm catching up on other freelance work, my husband and I are seeing Matilda The Musical on Broadway tomorrow night (yay, birthday and yay, book deal! ), we're going to visit his family next weekend, and... I know my free time, such as it is, is already completely booked up! But at least, for now, the draft is in. One thing I was thrilled to do a lot this week is READ! I made my way through two really spectacular books, and since I haven't done a Friday Reads post in eons, I thought I might do one today. 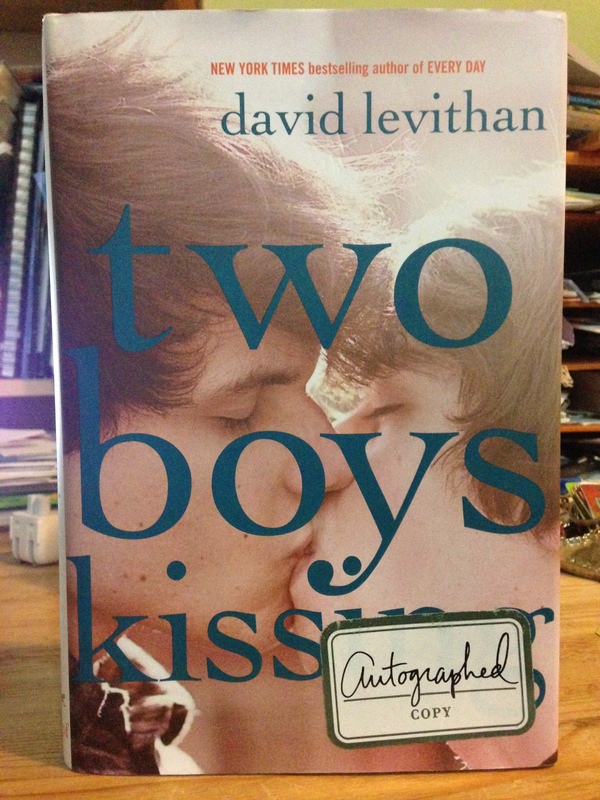 Admittedly, I'll read pretty much anything David Levithan writes. Not only because I was lucky enough to have him as a professor in grad school, but also because I just really enjoy his work. Plus, TWO BOYS KISSING has gotten a lot of hype lately—including making the longlist for the National Book Awards. Luckily, this book lived up to its hype. It's so gorgeous! TWO BOYS KISSING is actually about eight boys. Craig and Harry are trying to break the Guinness World Record for longest kiss. They're doing it on behalf of their friend Tariq, who was brutally attacked for being gay. Peter and Neil are in a happy long-term relationship, and are figuring out what that means. Avery and Ryan just met, and have instant chemistry. And Cooper is alone, barely interacting with the world outside his computer. While all of these stories are told thoughtfully and realistically, it's the narration that really sets this book apart. TWO BOYS KISSING is narrated by a chorus of men who died during the AIDS crisis. They watch over the current generation, commenting on how different the world has become—and how similar it still is. The narrators' memories about their lives—and deaths—and their pleas to the characters to cherish the lives they have were so powerful. The ending moved me to tears. What you need to know about teenaged Kathryn is that ... I wrote fanfiction. About The X-Files. I discovered the fanfiction section on Fox TV's official X-Files Internet message board when I was 16, and almost immediately got sucked into these amazing stories people were writing about the characters. I started writing my own. I wrote short scenes and a few full-length "X-files" by myself. I co-wrote a few stories with friends I met on the message boards. I even started working on a crossover fanfic in which Agents Mulder and Scully found themselves hunting for a mysterious artifact that was also being chased down by the characters from the TV show La Femme Nikita. I was really into it, for several years, is what I'm saying. My screenname was XKitty. All of that said, you don't have to have written fanfic to appreciate and love FANGIRL! It has family drama, an adorable love interest, fish-out-of-water college shenanigans, and characters you genuinely care about. I really, really recommend this one. 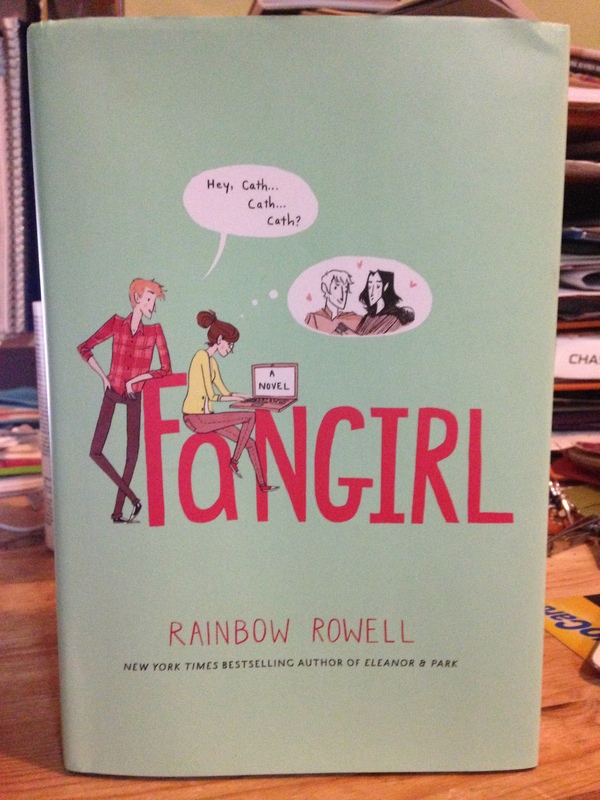 I am a Rainbow Rowell fangirl. Wow, that was a long post. I guess it was all that time away from blogging...it got backed up. It’s been two weeks since I last checked in, so here I am! I’m still chugging along on my revision, still juggling work commitments and dance rehearsals and other responsibilities while my head is filled to the brim with thoughts about my book. Revising is still going smoothly—though as I approach my deadline, the nerves are starting to kick in. Am I making the right choices? Will my editor like the changes I’ve made? Am I getting closer to having the final version that will be on bookshelves in a little over a year? I know this draft won’t be my very last, and I know that my editor’s job is to guide me along the path. Still, I’m feeling pressure to Get It Right. The good news is, when I take my editor and the publication process and potential future readers out of the equation and just look at the BOOK, I do feel that it’s getting stronger. My editor is pushing me to dig deeper, to fill in the gaps, to make my characters as three-dimensional as possible and the world that they live in as realistic as possible. To draw readers in from page one and make them care. And I think it’s working. Over the weekend, I was thinking about a revision like this as a closet cleanout. 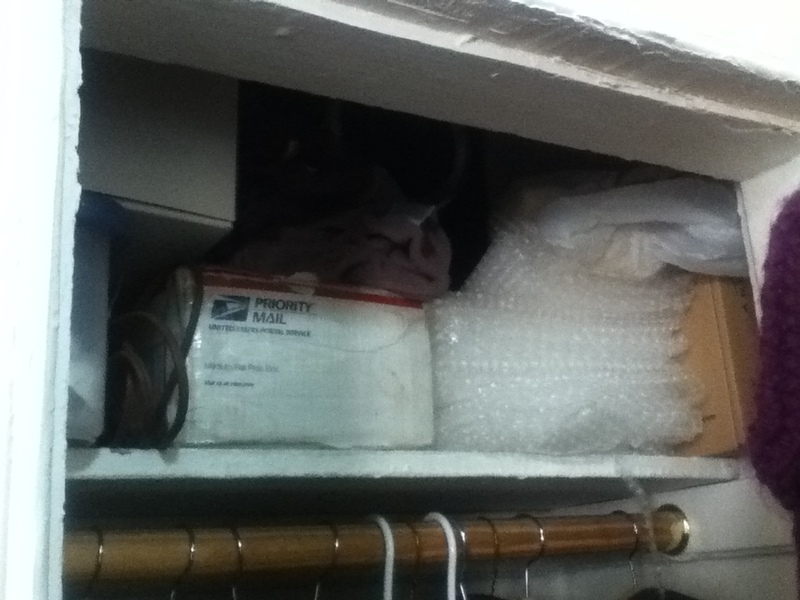 In particular, I was thinking about the last time I had to go through my closet in my old bedroom at my parents’ house. I’m a bit of a packrat when it comes to things that have memories attached to them. Or things that I haven’t used in ages but might one day need or want again. At the same time, I don’t love clutter, so I like to keep packrat things out of sight, filed away in boxes or drawers or baskets so the whole area looks relatively organized and neat. This revision has been about the stuff inside those boxes. This has been the nitpicky, meticulous revision. The one where I have to open each drawer, set out all of the items stored inside, and decide if I truly need those things. In some cases, I do—but I have to justify why. In other cases, they’re just not necessary. Right now, I’m doing editing work I avoided—or didn’t yet realize I needed to do—in earlier revisions. I’m doing work that I couldn’t have done without the organizing and sorting and surface cleaning of previous revisions. When I finish, I will have the neatest, most organized, most streamlined closet—er, manuscript draft—I can produce. And then my editor will come in and ask me if I really need those cross-stitch patterns from when I went through my sewing phase in middle school, and I’ll hem and haw, and probably ultimately decide she’s right. And the book will be even better for it. Last time I blogged, I mentioned that I was waiting for my editor's notes on my manuscript. Well—I got them! And I've spent the past week and a half deeply engrossed in revisions. I can't stop thinking about my book. It's in my head when I wake up in the morning and as I lie in bed trying to fall asleep—and so much of the time in between. I am so excited about taking my editor's notes and finding ways to make this the best possible book it can be. And...yeah, okay, it hasn't all been easy. I don't believe it will all be smooth sailing for the next month. But it's rewarding work! (And you have my complete permission to remind me of the enthusiasm in this post if I start to complain or freak out in the weeks to come!) Considering that this is the first time I've had to revise a book with a deadline, I feel like things are going pretty well. I have my to-do list of edits. I'm working my way through the biggest, most wide-reaching changes first, asking big questions about my characters and their motivations. I'm revising a few hours a day, almost every day. I have a lot of momentum, and I hope I can keep it up. Oh, and the fourth downside: fewer blog posts! I've been saving my creative time and energy for my revision. But I promise, when I turn in this draft, I'll get back to posting Friday Reads and other updates on writing, reading, and fun stuff. So please stick around for my eventual return to regularly scheduled blog posts! I am so excited to announce that my debut novel, THE CREATION OF HALLELUJAH CALHOUN, has been acquired by HarperCollins! And sometime soon (most likely early 2015), my book will be on the shelves in bookstores across the country (and on digital platforms) for everyone to read! As you might imagine, I am over-the-moon excited. This is something I've been dreaming about and working toward for years. I'm so proud of this book and I can't wait to find out what my editor, Alexandra Cooper, has in mind to make it even better. I know there is more work ahead, but I am so ready to tackle it—and to eventually share this book with all of you. Yay!!! 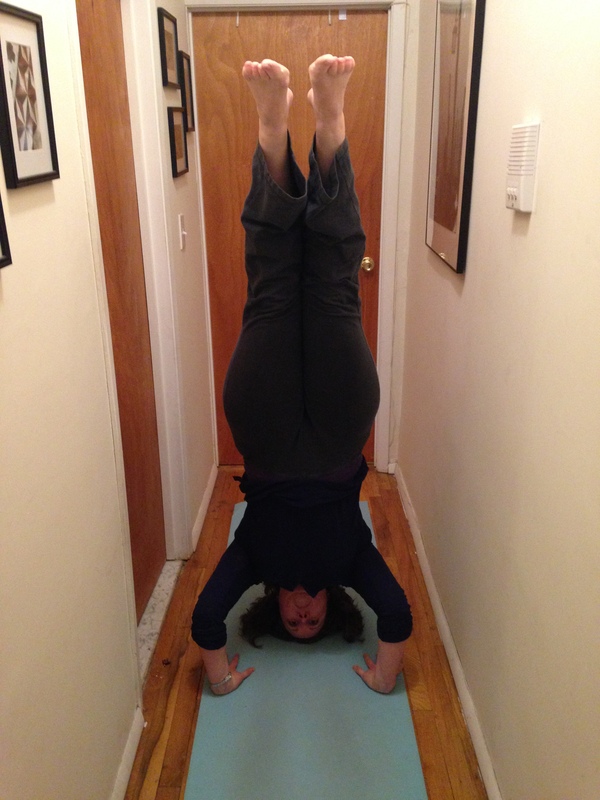 Thanks to my family, who always believed I could do this and who have supported me along the journey. Thanks especially to my wonderful, smart, sweet, kind husband, who is always willing to be a sounding board and a cheerleader and a shoulder to cry on, and who is easily as excited about this big next step as I am. Thanks to all of the friends and friends of friends who have listened to me talk about writing for years, and who have encouraged me to keep at it. Thanks to every single person who read HALLELUJAH in draft form and offered thoughts; you helped shape the book in so many ways. Thank you ALL for listening, for commenting, for caring, for critiquing, and for understanding when I can't do social things because I have to write. And finally, my heartfelt thanks to Alyssa and Alexandra, for believing in me and my manuscript and for helping guide me to this exciting moment. I couldn't have done it without any of you. THE CREATION OF HALLELUJAH CALHOUN is about a 16-year-old girl who gets lost in the Smoky Mountains in Tennessee, along with two other teens. Even as they're fighting to survive in the mountains with no supplies, Hallie is fighting to overcome her own personal issues—in particular, the fallout from a lie told about her by a popular, cruel boy about something that happened between them a year ago. Hallie has to find her voice and her strength—and let go of her past—if she wants to make it home alive.